Check out my articles on the best Vietnam visa agencies for visa on arrival. The Vietnam Embassy and Consulate General websites are pretty crappy, but there are a number of private companies devoted to Vietnam visas that are actually pretty good. It is very important you come to Vietnam with all the appropriate paperwork before entering in order to avoid getting sent back home by the Vietnam authorities. Vietnam visas are usually good for single entry, but you can get multiple-entry (at a higher price). The Vietnam visa process is ridiculously easy. You don’t even have to go to the Embassy or Consulate General for ordinary tourism or business purposes. Most people just apply through an authorized travel agent and get a visa approval letter that they need to bring with them on their trip (including 2 passport-sized photos) in order to get the visa upon landing at the airport in Vietnam. 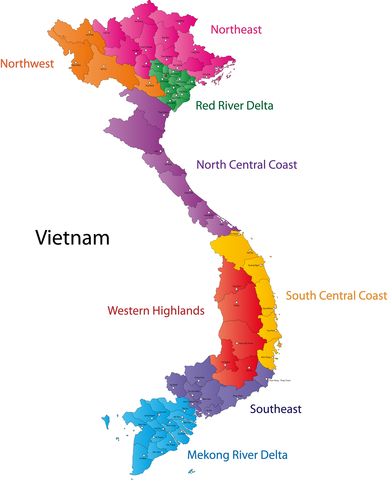 The best guide I have found for all things related to travel for Vietnam is located here at VietnamOnline. Check it out!